What in the World is Community Psychology? Community psychology is a bright, shiny, fairly new area of study can help bring resounding, meaningful change to a multitude of communities that in the 21st century. Simply defined, community psychology is “concerned with understanding people in context of their communities, the prevention of the problems of living, the celebration of human diversity and the pursuit of social justice through social action” (Scott & Wolfe, 2015). In the first part of this three part blog series, I bring to attention one of the many areas that community psychology can be applied to: autism. I chose to connect community psychology and autism for this first blog because I am closely tied to the autism community after working with individuals with autism for 6 years. This is my attempt to bring community psychology closer to home for a community I hold dear to my heart. Autism is a neurodevelopmental disorder characterized by impairments in communication and social skills, as well as displays of restricted and repetitive behaviors. The Center for Disease Control (CDC) currently estimates the prevalence rate of autism to be around 1 in 68 children, up from 1 in 88 in the early 2000’s (Bookman-Frazee et al., 2012). This number will continue to rise, and because it will continue to rise, community psychology may have a chance to be readily applied to the autism community should it be needed. And indeed, the need for community psychology application is ever present in that many families may not have accurate, or any, resources for support in raising and caring for a child with autism. Luckily, community psychologists are already making endeavors in the autism community. One example is the endeavor of Lauren Brookman-Frazee, Aubyn Stahmer, Karyn Lewis, Joshua Feder, and Sarah Reed, all community psychologists, to develop a researchcommunity collaborative group with a focus on autism that was developed based on community-based participatory research principles (Brookman-Frazee, et al. 2012). Their efforts are articulated in a 2012 article from The Journal of Community Psychology. (Follow this link to read the whole article: https://drive.google.com/file/ d/0B_7sOuxnRLcnRTVyWVpVblR2LWM/view?usp=sharing) They explain that in order to successfully promote and implement the most effective treatment options for children with autism, there needs to be close collaboration with community providers. They refer to this concept as community-based participatory research (CBPR). CBPR is “used in the field of public health to reduce inequities in care through active involvement of community members, organizations, and researchers in all aspects of the research process”, and “ addresses disparities by promoting mutual transfer of expertise and shared decision making between researchers and community members” (Brookman-Frazee et al., 2012). Using the CBPR principles and model, the team created the Southern California BRIDGE Collaborative in 2011, a research-community partnership that brings together practitioners, funding agency representatives, researchers, and families of children with autism to develop community-wide, sustainable plans for serving infants and toddlers at risk for autism. BRIDGE stands for Bond, Regulate, Interact, Develop, Guide, words that reflect the values of the treatments offered, as well as to represent the bridge being built between research and practice. (Brookman-Frazee et al., 2012). The BRIDGE Collaborative was the first use of the partnership model in the field of treatment options for children with autism. This example of the BRIDGE Collaborative allows us to see that community psychology is readily applied to the autism community based on the fact that it is concerned with addressing the problems of living. Within the autism community, especially within the community of children with autism, it can be seen that the awareness and availability of treatment options can be considered problems of living. This application of community psychology brings it closer to home because it clearly demonstrates that with the combined efforts of community psychologists, and the goals of community psychology itself, there has been a resounding and meaningful step in helping the autism community that I feel so close to. Erin Clifford is a graduate student in the Autism Studies program at the University of Massachusetts. Diversity is a term many of us have been taught at a young age, however we might not have fully understood it at the time. We would look around our classrooms and see that not every one looked like us, dressed like us, talked like us and we learned that those differences were normal and were okay. As we grew older we learned to accept and value those differences between ourselves and the people around us. Community Psychologists have a huge respect for diversity in this country. They accept and understand as well as value the differences that are apparent between members of a community. Those differences can be many things such as gender, culture, socio- economicstatus and even language (Scott& Wolfe, 2015). They have been teaching the concepts of respecting diversity to many around them and are helping communities to become more aware of diversity and are helping those communities celebrate those diversities. However with the spreading of diversity it seems as though in one area it has been lacking; the celebration of the different languages that are spoken in the United States. 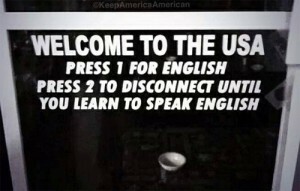 There has been more than one push for The United States to set the official language as English (Miller, 2015). The push for setting an official language seems to contradict all that is being taught about celebrating diversity. If we were celebrating diversity within the country why would we be pushing for a change that would leave out many communities of this country that do not speak English or do not celebrate English as their fluent language? 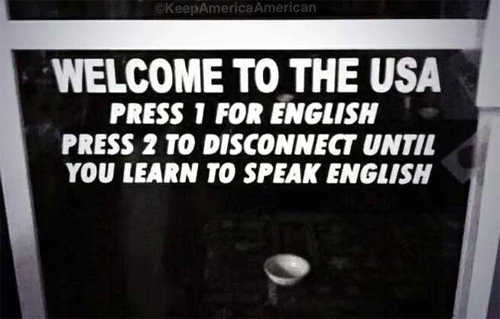 Maybe those who have been in favor of the push were sick of hearing “press one for English, press two for Spanish, et cetera…” or maybe it is those who are jumping on Donald Trump’s band wagon on immigration or just wanted the number of U.S. citizens who speak English at home to be 100% rather than the 79% that was recorded in a 2011 census (Miller, 2015). The candidate running for president, Trump, has very narrow views on language in the US, even calling out Florida Governor Jeb Bush when Bush insulted Trump in Spanish. Trump said “He’s a nice man. But he should really set the example by speaking English while in the United States” (Tani, 2015). From growing as a child to seeing differences between myself and those around me to an educated student who is accepting and celebrates those differences, the words spoken by Trump and the push to set the official language of the United States to English would be a step back in time. I believe as a community and as a country we are growing everyday by giving out the respect that is needed. By setting an official language of the United States it would be as though we are taking away respect and acceptance of diversity of those around us. I for one do not support the push for a set language and rather I support the continuation of respect and celebration of everyone around me. Taylor Boulia is a graduate student in the Community Social Psychology program at the University of Massachusetts. Scott, V.C. & Wolfe, S.M. (2015). Community Psychology: Foundations for Practice. (pp. 47). Thousand Oaks,CA: Sage. These words belong to a 16-year-old refugee girl, who fled violence in her home country (Kashi, 2014). According to annual situation report by UNICEF, in November 2014, 10.9 million Syrians were displaced outside of Syria, including over 3.3 million refugees across Lebanon, Jordan, Iraq, Turkey and Egypt. 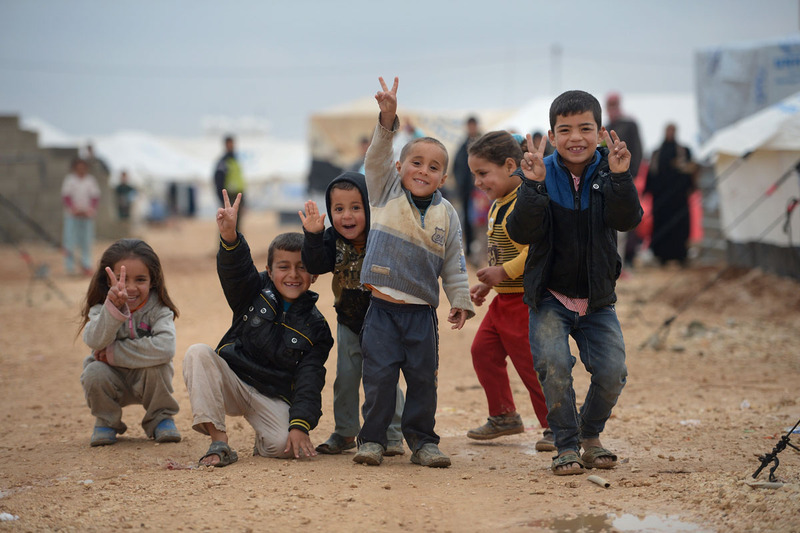 More than half of the refugee population are children. (UNICEF, 2014a, p.1) Syria’s children have witnessed too many violent and traumatic acts. Consequently, they are growing up with feelings of mistrust, betrayal, anger, displacement and uncertainty about their future. Children under the age of 18 are growing up in unsanitary conditions, in need of education, and in need of healthcare and psychological support. These children are at risk of becoming a “lost generation” and they need a sense of belonging in their new environment as well as basic humanitarian needs. Community psychologists provide services for refugees and seek solutions to provide mental health and health care services, to enhance protective factors such as social support, to engage children and adolescents in preventing discrimination, violence, abuse, exclusion, prejudice and separation of children through educational programs. They also attempt to address the social and physical causes of psychological distress in refugees. Providing healthcare and education services is vital for protecting the host communities and the refugees. In doing this, they can prevent the built up anger that may threaten host communities in the near future. As Ozer and Sirin stated (2013), “…places like Afghanistan or Rwanda should remind us what happens when refugees are left to their own devices: camps, full of people who feel forgotten and, therefore, hopeless and angry, becomes recruitment grounds for child soldiers. This cycle carries the civil unrest across generations.” To avert this cycle, community psychologists can take an active role in creating a sense of belonging and helping refugees connect to their community. To achieve this goal, time banking can be used as a tool to develop links between refugees and host communities. Time banking is a reciprocity-based economic system where time, instead of money, serves as currency. Time banks allow communities to come together and trade services, connecting people, filling needs, and creating growth. “This program gives refugees and host communities the opportunity to earn time credits for voluntary work and to exchange these credits for the equivalent amount of time of someone else’s skills, serving to develop links between refugees and host communities.” (Webster & Robertson, 2007, p. 156). It is also promising that many non-profit organizations from around the world, such as UNICEF, USAID, and Save The Children are working together to save Syria’s children. UNICEF is lending a helping hand to these children and their families, providing psycho-social support as well as shelters, warm clothes and accessible education for children (UNICEF, 2014b). In addition to UNICEF, the USAID- No Lost Generation project helps provide psycho-social services through women’s health centers, mobile clinics, and outreach workers to help Syrians deal with the stresses of conflict and displacement. It also leads parent support programs which focuses on helping mothers, fathers, and caretakers develop the skills to cope with stress and to provide protective care for their children (USAID, 2014). The Save The Children team is another organization that runs alternative learning programs and informal education in refugee camps and host communities, providing safe play areas and access to counseling for thousands of children across the region. They also launch back-to-school campaigns to encourage parents to enroll their children (Save The Children, 2014). If you would like to learn more about the lives of Syrian refugees, I would recommend a short documentary called Syria’s Lost Generation, (Syria’s Lost Generation). Tuğba Metinyurt is a graduate student in the Community Social Psychology program at the University of Massachusetts Lowell.